Don't just host the party... join it! We've added a twist to our superior raclette line up with this Swivel Raclette. 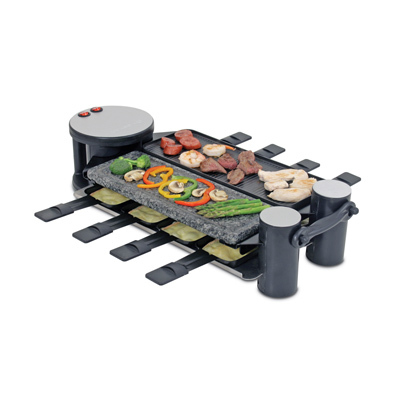 Go beyond a memorable meal and unfold this unique raclette up to 180¡, place it on the counter top and make it a part of every entertaining occasion. Don’t just host the party... join it! We've added a twist to our superior raclette line up with this Swivel Raclette. Go beyond a memorable meal and unfold this unique raclette up to 180°, place it on the counter top and make it a part of every entertaining occasion.